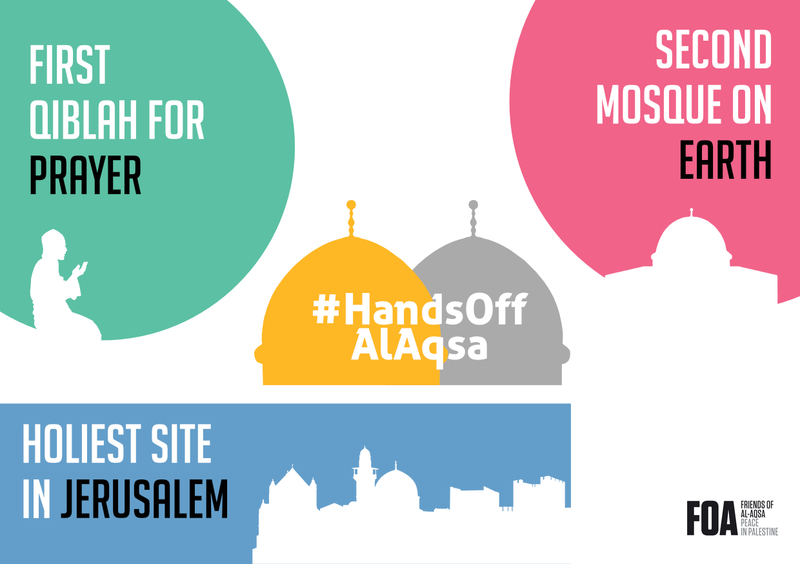 The #HandsoffAlAqsa campaign is about educating people about the importance of Masjid al-Aqsa and putting al-Aqsa on the global agenda in order to protect Masjid al-Aqsa from Israeli occupation. 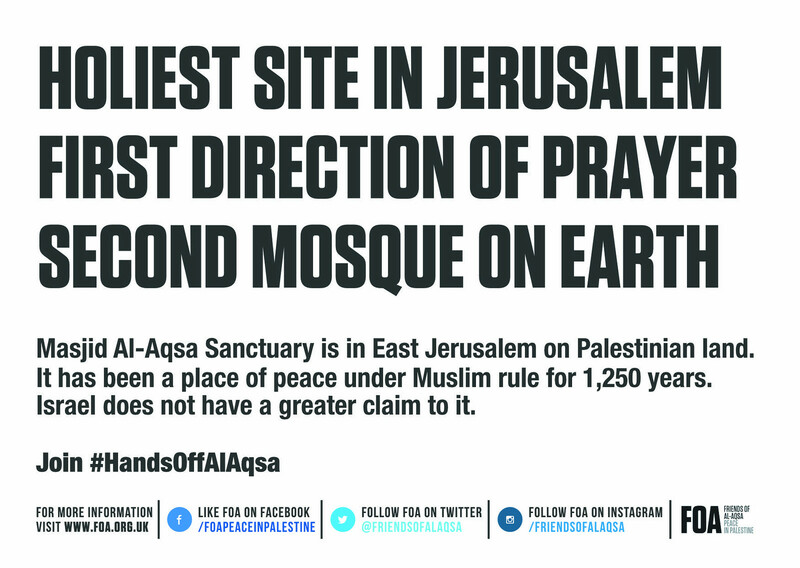 Arrange for a Jummah Khutba at your local Masjid on Masjid al-Aqsa. 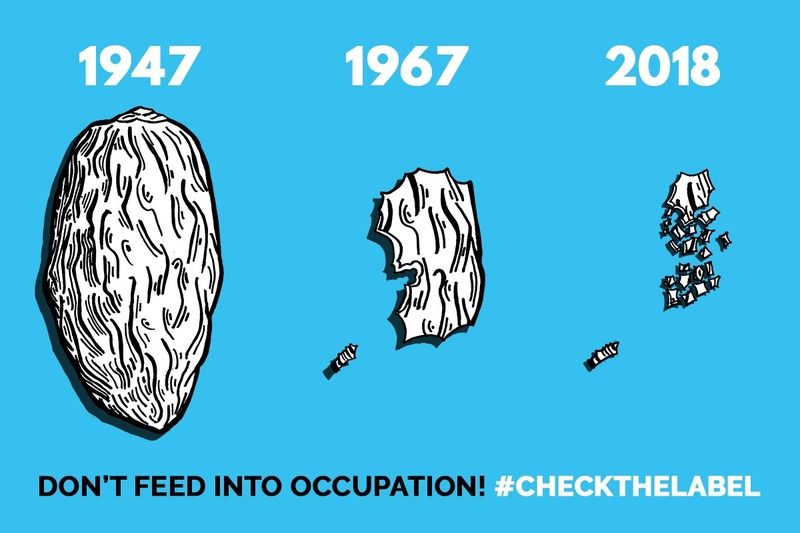 Pray for those who are oppressed and protecting Masjid al-Aqsa. 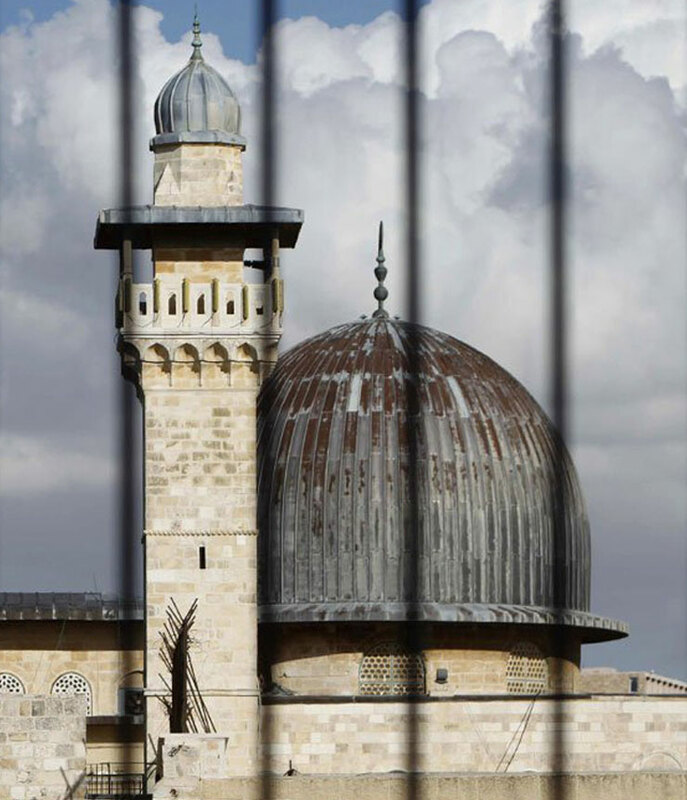 The entire compound including the land and buildings within the al-Aqsa sanctuary are sacred, with ‘Masjid al-Aqsa’ referring to all the specific buildings upon the land. 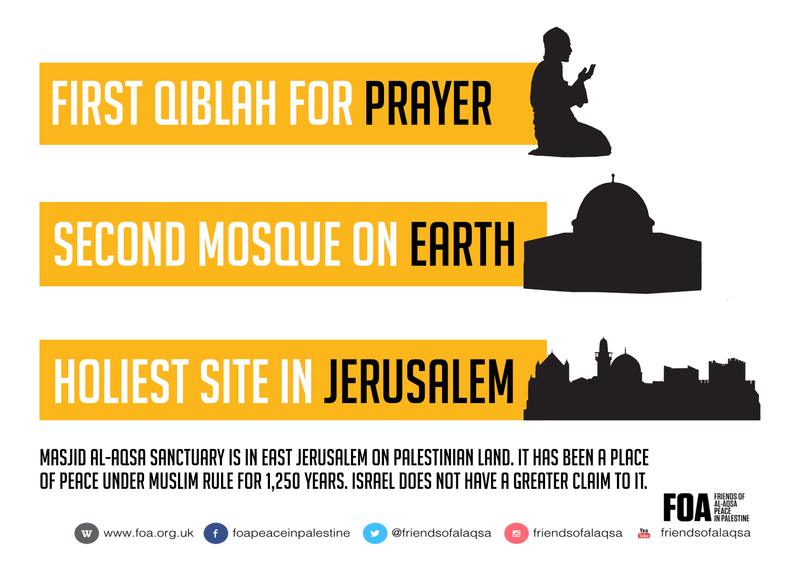 There are 44 buildings within the al-Aqsa Sanctuary, including the domed masjid and the Dome of the Rock (Qubbat as Sukhra). 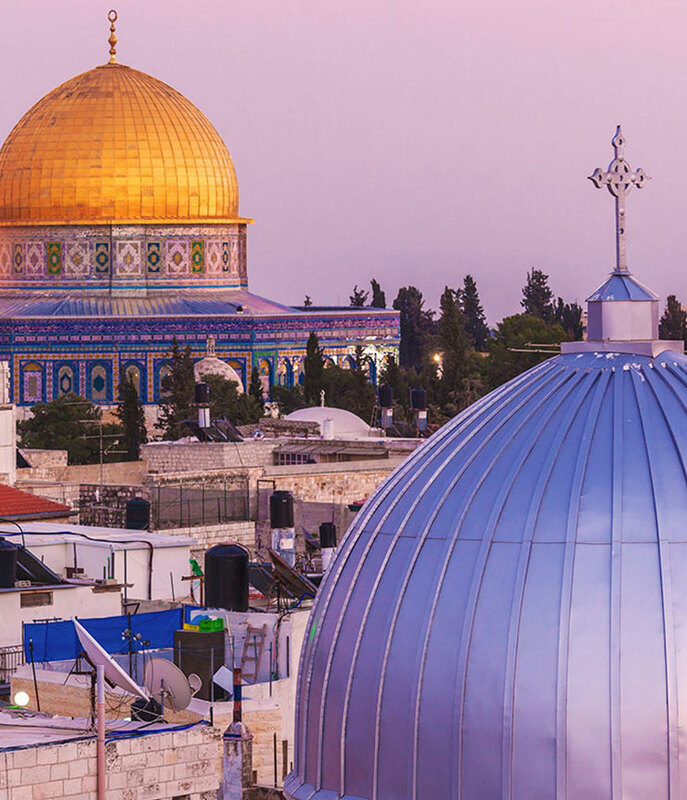 These buildings have extraordinary historical significance for Muslims; it is the third holiest site in Islam and the place where Muslims believe the Prophet Muhammed ascended to heaven. 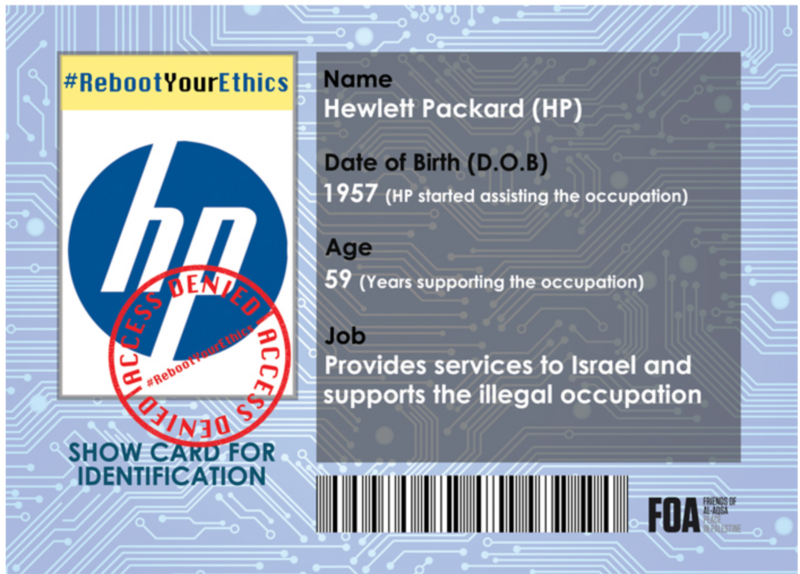 Who constructed the building within al-Aqsa sanctuary? 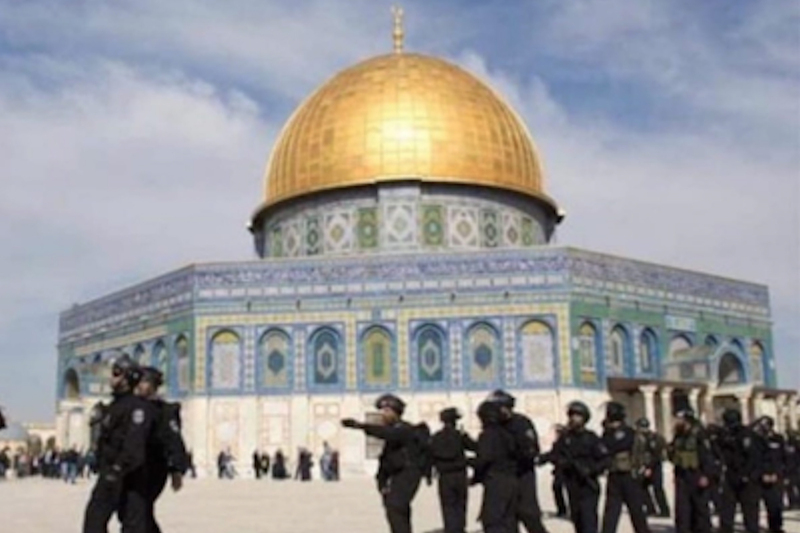 When the second Caliph ‘Umar entered Jerusalem he requested first to be taken to al-Haram al-Sharif, the place of al-Aqsa Sanctuary. He ordered the construction of a masjid at the southern end of the sanctuary. This was originally a wooden structure and was later re-built as a solid structure. 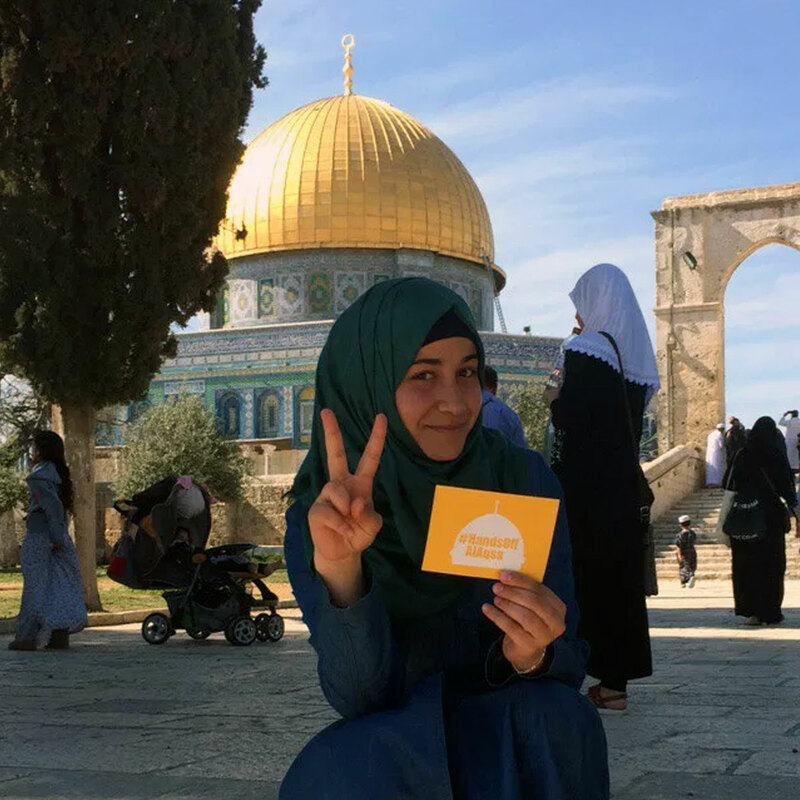 Friends of Al-Aqsa are asking for Muslims to have full access to the buildings in al-Aqsa sanctuary and for Israel to relinquish the control it has asserted over the sanctuary.